Johnnie Scott Rice has held a lot of titles in her life: director of constituent services, advisory neighborhood commissioner, D.C. Council candidate. But there is one title she covets that has eluded her: District pot dealer. 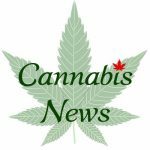 The Crown on Monday urged Ontario’s Court of Appeal to overturn a controversial ruling that struck down the federal legislation governing access to medical marijuana.